Hello, heatwave: these 2018 releases are still meltingly good. I love a shiny new hardcover as much as the next reader, but there’s something about pool days that call for paperbacks—they’re light in a tote, and not so precious that you can’t get them just the tiniest bit damp. 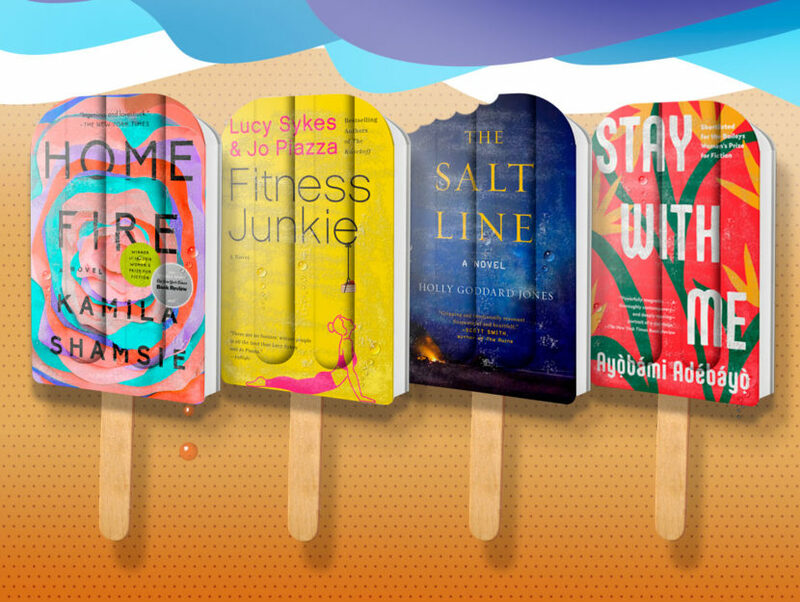 Fortunately, we’re in no short supply of riveting, can’t-get-enough paperbacks sure to add a little thrill, charm, or quiet introspection to your day in the sun. Katherine Heiny’s take on marriage, awkward playdates, and constant fantasies of the path not taken will have you laughing out loud—but the debut novel is also “heart-piercing” (Louise Erdrich), “witty” (Sloane Crosley), and helmed by a protagonist who will “jump right off the page” (Kate Atkinson). Check, check, and check. On the Greek island of Hydra, Naomi and Samantha discover a lost young man—Faoud, a Syrian migrant—and the two wealthy friends are determined to help him. Their actions, though, are rooted in manipulation and culminate in serious, complicated consequences. Osborne doesn’t flinch from nuance in this psychological, moral thriller that’s unsettlingly relevant to current events. Blackmail is ugly business. After a drunken dinner with a prospective client, Gemma Brogan starts receiving photos and videos that would damn her marriage. As her paranoia grows, she remembers a night from years ago that might be entwined with the current threats. A twisty plot and shocking ending make for the best kind of poolside reading. When Tom Krupp gets a call that his wife, Karen, has been in a car accident, he rushes to the hospital to find her with a concussion. The police are highly suspicious of her memory loss—and also trying to pin her for murder. Back at home, Karen’s overwhelmed by the creepy certainty that someone’s been in her house. What could it all mean, and who’s the villain here? Liz and Nora are enjoying their Mothers of the Year status while on a cruise with their husbands and children—four of them between the two families, ages six to 11. But while ashore in Central America, the children vanish. Told from the point of view of the parents, who begin to turn on each other, and the children, who are forced to fend for themselves, Meloy weaves a gripping story about the illusions of privilege and parental control. Cassie Hugo and Margaret Brickshaw never would’ve been friends in their normal lives, but they’ve both followed their military husbands to the U.S. Embassy in Jordan, and the expat community’s a close one. When Margaret goes missing after a minor accident, Cassie’s forced to consider Margaret’s safety, and also the role she herself might have played in Margaret’s disappearance. A complicated look at desire, friendship, and dislocation that doesn’t skimp on plot. Janey Sweet, CEO of a couture wedding gown company in Manhattan, will do just about anything to lose 30 pounds, regardless of the price tag or the hit to her dignity. Naked yoga, clay diets, astonishingly expensive cycling classes—she chugged the Kool-Aid (and counted the calories). A hilarious satire of the cult-like fitness scene for the absurdly wealthy, read it by the water and luxuriate in not being miserable. What could be more idyllic than a summer in the English countryside? So think the four Wilde sisters, who arrive at Applecote Manor only to be drawn into the disappearance of their cousin Audrey five years prior. Fifty years later, Jessie makes the same false assumption when she moves her London household to Applecote, only to find herself suddenly at odds with her daughter and disturbed by the rumors swirling around the Manor. Idyllic, indeed. Summertime for semi-washed-up Rich Fischer means another weeklong teaching gig at a beachside make-out fest masquerading as an arts conference, complete with naked drum circles and existential questions about monogamy, parenthood, and independence. A clear-eyed satirical romp and a (true? exaggerated?) peek into the lifestyle of the artistic elite. When Anna enters hospice, the friends she’s had since girlhood gather in her home to make plans, recount their adventures, and laugh over decades of mishaps they’ve navigated together. A moving portrait of womanhood, friendship, and the friends who turn family, Before Everything will have you reaching out to your own circle of soulmates. Twenty-three-year-old Lilli de Jong finds herself unwed, pregnant, and expelled from her Quaker community. It’s 1883, and unwed mothers are the bane of civilized society, but Lilli loves her infant daughter and fights to keep them alive. Told through Lilli’s diary as the story unfolds, Benton’s debut novel is an ode to motherhood and a page-turning account of societal neglect and personal sacrifice. Four years into their marriage, Yejide and Akin are still unable to get pregnant. Yejide isn’t ready to panic yet—until her in-laws arrive from Nigeria with a young second wife for Akin. Shocked and overwhelmed by jealousy, Yejide knows the only way back into her happy marriage is to get pregnant, and she’s willing to go to great lengths to do so, though her choices may have shattering consequences. Another vibrant and uplifting story of female friendship, this one will be a favorite for fans of The Best Exotic Marigold Hotel. Now in their sixties, Sina, Maya, Ingrid, and Lisbeth have accepted the somewhat disappointing trajectories of their lives—until their old friend Kat invites them to join her on her cocoa farm in Fiji. Who can resist reinvention in paradise, with their best friends to boot? When Rachel Wu agrees to spend the summer in Singapore with her boyfriend, Nick, she has no idea he’s the country’s most eligible bachelor, or that his family’s the epitome of old money. Called “deliciously decadent” and “delightfully soapy,” it’s the perfect read to pair with a poolside cocktail. This isn’t your typical trip to the zoo. As Joan and her 4-year-old son head toward the exit at closing time, Joan sees something that makes her bolt back inside. Set over the course of three heart-thumping hours, she’ll do whatever it takes to protect her child, proving along the way that a mother’s love is the fiercest of all. Fans of Homeland and The Americans will devour this domestic espionage story helmed by Vivian Miller, a wife, mother, and top-of-her-game CIA analyst who’s beginning to question everything she thought she knew about her husband. But how much does she really need to know, and is she capable of ignoring the truth? Adulthood is complicated, as best friends Frances and Bobbi are beginning to figure out. When the two are welcomed into sophisticated Melissa’s world, Frances begins to feel things she’s never felt for Melissa’s husband, Nick. But Bobbi neither understands nor approves, and their friendship suffers for it. Named a best book of the year by Vogue, Slate, and The Cut, Rooney weaves a complicated and contemporary tale of a young woman finding herself. A supernaturally tinged mystery set in the Sonoran Desert, The Shimmering Road follows Charlie Cates, a pregnant journalist who can tap into the past and future through dreams and visions. When her estranged mother is found dead, Charlie also discovers a sister she never knew she had, and she must confront her family’s history while trying to change the future—specifically, dreams of her unborn child’s death. Bestselling author Kristan Higgins brings us three relatable and honest characters in Emerson, Georgia, and Marley, best friends who met at weight-loss camp as teenagers. When Emerson passes away, she leaves her friends with a final task: to finally conquer their fears. A compassionate story of friendship and self-acceptance, Good Luck with That will have you feeling extra gentle toward yourself and your loved ones. Buzzfeed culture writer Anne Helen Petersen delivers the book we all need right now, about the rise of the unruly woman. Through the lens of high-profile women the public loves to hate—think Serena Williams, Kim Kardashian, and Hillary Clinton—Petersen dissects standards of femininity and the cultural myths around “too muchness.” Read it, fist pump, and pass along to your powerhouse friends. Forty-year-old Sloane Jacobsen is an international trend forecaster who’s pretty lacking in the personal relationships category. A tech giant hires Sloan to spearhead a conference for the wealthy who prefer virtual relationships to real ones, but to her complete surprise, Sloane starts picking up on cues that physical touch is going to make a big comeback. Will she break from her employer, or stay married to her beloved technology? Bryce seems to be the perfect rebound for aimless Julia: he’s charming, attentive, and invites her into his family and church. Everything’s coming up roses for the happy couple—so convincingly that Julia doesn’t notice how distant she’s grown from her family, friends, and colleagues. A nuanced psychological thriller, all is not what it seems, right up to the bitter end. Welcome to Goochland County, Virginia, the rural oasis of your imagination…or not. Metcalf’s Southern Gothic is full of irredeemable characters and dark humor, and his unnamed narrator is the deadpan, unforgettable voice that saturates each page. Think of it as a literary version of the popular S-Town podcast—which is to say, both eccentric and engrossing. From one of our most prescient authors comes The Locals, a zoomed-in look at a small town in Howland, Massachusetts, and two men who co-exist but inhabit completely separate worlds. Mark is a contractor who lost his savings and decides to take a chance on the housing boom; Philip is a hedge-fund billionaire who volunteers himself as mayor, then goes about making irreversible changes to the community. Fittingly, there are no easy answers in this fraught tale. A character-driven, near-future dystopia, Jones’s creation revolves around the premise that those who live within the zone of the salt line are safe from deadly, disease-ridden ticks, and those who venture outside of it—for the sake of adrenaline—do so at their own risk. Four of those risk-takers include a pop star, his girlfriend, a tech giant, and a housewife, who find themselves held hostage by outer-zone survivors. A thrilling survival tale and smart commentary on climate change and immigration. With her trademark evocative prose, Kamila Shamsie tells the story of three siblings—Isma, Aneeka, and Parvaiz—while simultaneously exploring questions of race, radicalism, and family loyalty. Can Parvaiz, the younger brother, be saved? And is Eamonn, the son of a powerful political figure, the means to that end, or something else altogether? A timely story—and a climactic, shocking ending—you won’t soon forget. ELIZA SMITH lives and writes in Columbus, Ohio. 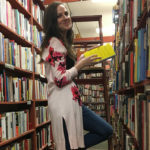 Her favorite form of traveling is to visit as many bookstores in a new city as possible. Find her on Twitter at @realelizasmith.